I’ll admit it: drawing the following Parisian offbeat itinerary featuring our locals’ tips has been a bit of a challenge. Obviously not because there’s nothing worth mentioning that hasn’t made it into a travel guide yet. Or because our awesome folks have been short in suggestions. In my case the reason has to be ascribed to the fact that when in the glorious capital of France, I’ve always felt reluctant to dismiss the same old rituals I have been perpetrating since childhood. I’ve been lucky enough to visit Paris several times in my life; whether it was for a full month, a whole week or just a few days, there was a moment in my life when I would happen to be in the City of Lights at least once a year. I surely had enough chances and the time to explore the city from top to bottom; however, as I said, I can’t say I ever struggled much to go beyond its postcard-like, majestic appeal. I think I can speak not just for myself, but for many (citizens excluded, probably), when I say that it’s easy to be content with the Parisian basics. Habits such as strolling along the Seine and checking out the book stalls, or flâneuring in the streets and entering the boulangeries, were enough to make me feel good. Regardless of the arrondissement I was wandering through, I also felt the need to catch a glimpse of the Tour Eiffel, the Arc de Triomphe or any other landmark. I never had a go-to pavement cafe I usually sat at and watched the world go by, but I would search for a place that offered me a similar experience. I wouldn’t check out the permanent collection of any of its humongous containers of art anymore, but I would pass in front of them over and over again. In my mind a stereotyped, romantic idea of Paris was rooted, strong and firm. Paris would be nothing different from what I imaged before my first trip, nothing other than what I had experienced by then. 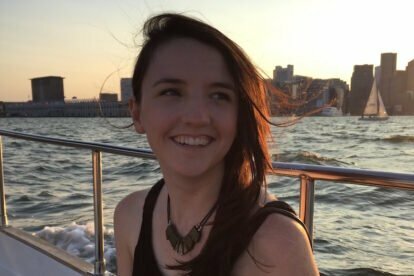 To me, visiting Paris was comparable to asking my mother to tell my favourite bedtime story over and over again, no slightest change allowed: it was reassuring, familiar, and yet never ceased to please me. I didn’t want to see more, because I didn’t need to. Paris was the only city where I never minded being a tourist and pretended to feel otherwise: I wanted the routine, not the novelty, to stun me. Years went by, friends left; suddenly I found Paris repetitive, incapable of providing any input: boring. My bad, I was wrong. Last time I went I did indulge in the old rituals, but I also gave myself the chance to unveil some of Paris’ hidden faces and seek out the gems I had left aside. Beyond the city we all know and are never tired of, behind the elegant Haussmannian boulevards and its homogeneous bâtiments, there’s a whole world we are sometimes not aware of. 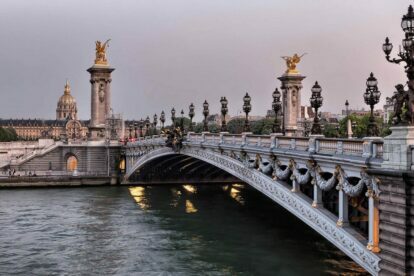 No worries: there are still croissants to eat and precious examples of art and architecture to fill your eyes with, all of it crammed with an ever-present, unmistakable French allure. Some spots you might have passed a thousand times and never lingered at, others you might not have known about… So, here we go: let’s start a 48-hour journey through one of the most beloved capitals of the world. As a local, of course. I don’t like to be in a hurry. Especially in the morning and on holidays. If you follow my lead – and happen to be in the Latin Quarter – Nuage Café and Shakespeare and Company, both suggested by Julia, make for appropriate kick-offs. Nuage Café is an inviting coffee place/working space; you don’t need to bring your laptop to sit in its comfortable armchairs – for a € 4 hour rate you’ll enjoy a good coffee, fruit and assorted snacks. 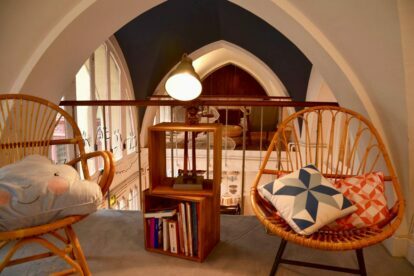 The latter, a bookshop with a cafe next door, is a popular spot among Parisians and tourist alike; the prices are a bit higher than average, but the view on the cathedral of Notre Dame and the cute interior are a good reason to stop over. A minute away from Shakespeare and Company is the Church of Saint-Séverin. Enter this Gothic beauty – often forgotten due to its proximity with Notre Dame – via the back-door on Rue Saint-Jacques: it is probably the best point to admire the forest of columns that supports the naves (the central pillar is interestingly shaped as a palm tree). Just west of Boulevard Saint-Michel, the Galerie Kamel Mennour displays quality exhibitions (generally solos of well-established artists) in two different – yet very close – locations: a valid alternative to never-ending queues and crowded museums. 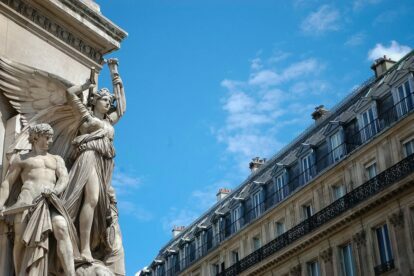 Tourists flock to the Latin Quarter attracted by its undeniable charm, hence tourist traps of any sort are always around the corner. When it comes to a quick snack before carrying on with your exploration, our Spotter Fred has a couple of bullets in his barrel. First shot is Kaza Maza; located in the area of the Sorbonne University, fixes flavoursome Lebanese sandwiches for meat eaters and vegetarians alike (mostly take-away). Second shot is Maoz, a falafel place where customers are invited to enrich their standard 5 falafel piece-pitta sandwich with any ingredient from the buffet (big plus: if you eat in, you can refill your sandwich as many times as you want!). After lunch, take the metro in the direction of Montparnasse; in the 1910s artists and intellectuals started to shift from Montmartre to this area, turning it into the new, ground-breaking creative hub of Paris for the following 20 years. Nested between the Montparnasse Train Station and the well-known cemetery, find the Fondation Cartier-Bresson. 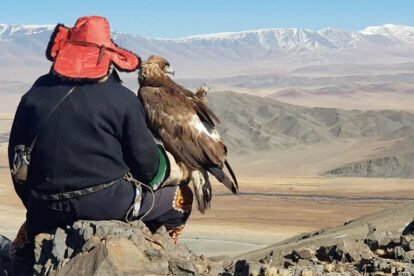 Established by the eponymous French photographer and his family in 2003, the foundation aims at preserving his legacy as well as displaying his and other photographers’ work through temporary exhibitions. If you’re a photography lover on a budget, the entrance to the foundation is free each Wednesday, from 18:30 to 20:30. A few streets to the north from the foundation, an English couple opened Storie. The shops sells a range of hand-crafted items that they have been collecting during their trips; each one of them is unique and tells its own, particular story (for those of you who know a bit of Italian, ‘Storie’ means ‘stories’). 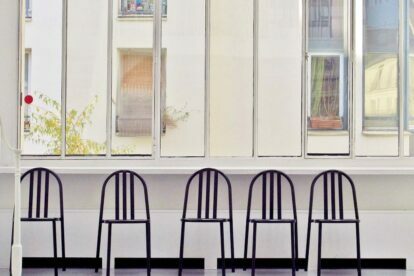 In case you’re looking for some art other than photography – or more art to complement your day – consider heading to the posh 16th arrondissement of Paris: the East wing of the Palais de Tokyo is home to the Musée d’Art Moderne de la Ville de Paris. 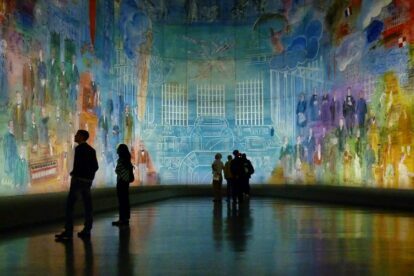 If for no other reason, the museum would be worth-visiting only for the room hosting the astounding, monumental fresco ‘La Fée Electricité’ (‘The Electricity Fairy’ in English), an ode to electricity painted by the French Fauvist painter Raoul Dufy for the 1937 International Exposition. On the ground floor are the temporary exhibitions; downstairs is the permanent collection (free). 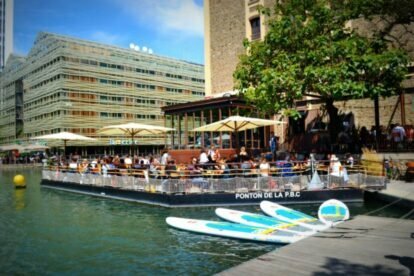 Along the Bassin de la Villette, Paris’ biggest artificial lake, Le Pavillon des Caneaux has established itself as an important benchmark for the local population. Much more than a cafe/restaurant, Le Pavillion de Canaux hosts lectures, classes, exhibitions, discussions… its weekend brunches are very much recommended, but it also makes for the right spot for a light dinner before heading to the neighbouring Paname Brewing Company. The historical brick building – a former granary – operates as a brewery and bar and street food-oriented restaurant. Its terrace, facing the Bassin, makes this venue an enjoyable and chilled hangout especially during the warm Parisian summer nights. South of Pigalle, in a neighbourhood that has seen an exponential proliferation of hip restaurants and bars in the last years, Le Dépanneur also comes with a nice outdoor area. 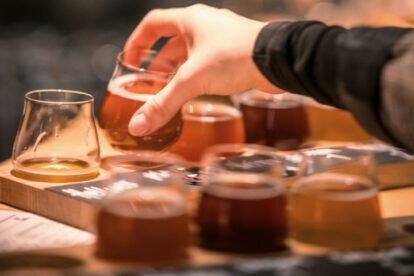 The food choice is conceptually similar to the one offered by Paname Brewing Company: taco-style dishes and burgers, the latter from Cantina California, a food truck selling organic burgers – the first of its kind in Paris. In addition, their extensive list of cocktails works as a persuasive invitation to stay and indulge in some post-dinner drinks. If you’re unwilling to move from the bustling scene of Pigalle, Bus Palladium is just down the road. A club and concert venue, Bus Palladium has become a institution in the Parisian nightlife scene; Friday and Saturday nights start with live bands, followed by intense sessions of rock music that attract crowds of youngsters and – sometimes – French actors too. 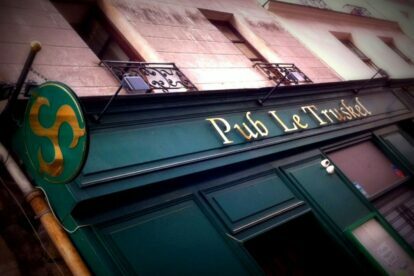 Alternatively, check out Le Truskel – our Spotter Adam‘s solution to aimlessly roaming in search of a bar opened till very late. Friendly people and even more friendly prices (quite a relevant variable in Paris), Le Truskel gets raucous especially after midnight when the DJs heat up the dance floor with their rock and indie playlist. 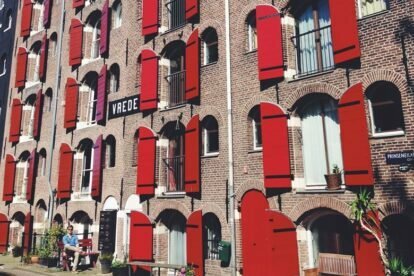 It’s not uncommon to spot famous touring bands here, as they sometimes pop over for surprise performances (among the last ones to visit are Jarvis Cocker, Bloc Party, Pete Doherty…). Try your luck! You never know what could be going on at Le Truskel! 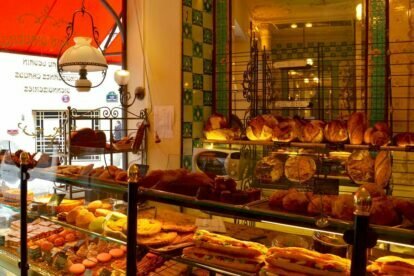 Pointless to stick to your diet when on holidays, especially if holidays mean Paris (or generally, France); particularly taxing are the mornings, as when you walk around you’ll be besieged from every side with tempting bakeries and confectionery shops. Unfortunately, most of those sweet retreats do not provide any seating space; that doesn’t apply to Le Moulin de La Vierge. Not only do each of its five spots scattered around town provide its customers with every kind of mouth-watering French pastry (try their madeleines), they are also equipped with a cosy, old-fashioned salon de thé. One of the patisseries is in Place des Petits Pères, in the very heart of the city: if the sun shines high, the square makes for the perfect setting for an outdoor breakfast. 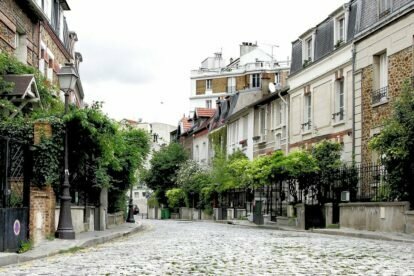 Head west and you discover Rue Montorgueil and the nearby streets and little square. 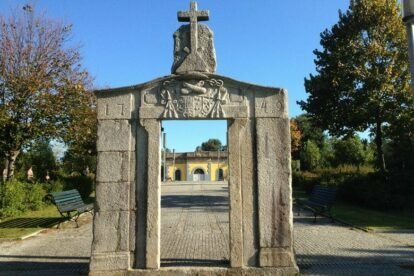 Our Spotter Justine is extremely fond of the area due to its village-like vibe and variety of designer shops, restaurants and bars. Further south, always on the Right Bank of the Seine, at a stone’s throw from the Île Saint-Louis and the Basin de l’Arsenal, anyone who’s passionate about urbanism and architecture should not miss Pavillion de l’Arsenal. Hosted in a beautiful building dating back to the 19th century, it hosts both a permanent collection (ground floor) and temporary exhibitions on the historical evolution of architecture and more contemporary interventions on Paris’ urban fabric. Note-worthy is the large, interactive map of Paris that allows for an interesting insight of its districts and areas. As you leave the Pavillion de l’Arsenal, the Marché d’Aligre is a few hundreds metres to the east. When on your way there, take a short detour through the cobbled Rue Crémieux, its typical features are the low-rise terrace houses painted in pastel tones. 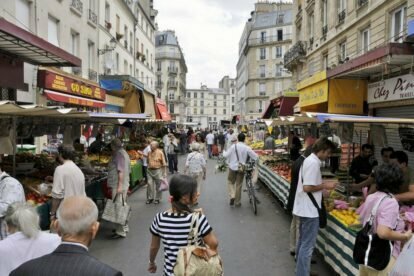 In the historic Faubourg Saint-Antoine, the Aligre Market (marché) is where our Spotter Yuko – a local in the area – shops for seasonal French delicacies. In the indoor area (the Marché Beauvau) is La Boucherie de Provinces, a bistro-butcher shop, at the entrance of Rue d’Aligne, the sea bar Paris Pêche serves fresh oysters, lobster and seafood plates. The more you venture into the eastern fringes, the more you’ll notice the difference between the eastern and the western portions of Paris. Whereas the western districts have historically been inhabited by the better-offs, the eastern bits were occupied by the less affluent strata of the society. Before merging into the urban fabric of the city, the majority of present-day quartiers (quarters) were independent suburban villages. Some of them have escaped the grand – yet standardised – redesign carried out in the 19th century by Baron Haussmann, thus maintaining their bucolic, French province-like character. 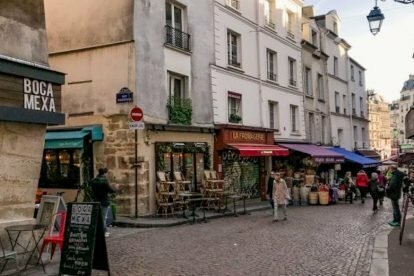 Among them, in the southern portion of the 20th arrondissement (where the Père Lachaise cemetery is located) figures Charonne, with its streets dotted with cafes, artist studios and restaurant. Right off its northern edge, La Campagne à Paris (Countryside in Paris) is a neighbourhood built on a hill between 1907 and 1928 to provide accommodation to workers in decent, single-family houses. In the present, La Campagne à Paris has kept its idyllic atmosphere, lovely brick houses and flowery front gardens. North of the 20th arrondissement, the 19th is home to Les Villas de la Mouzaïa and Butte Bergeyre. East of the Parc des Buttes Chaumonts, les villas is a charming residential area of maisonettes with a numerous feline population; west of the park, la Butte Bergeyre shares the same characteristics as Les Villas, but adds to them a striking view over Montmartre and the Sacré-Cœur Basilica. Paul. Le 6 Paul Bert offers a menu that re-elaborates the traditional French bistro dishes in a more contemporary fashion; worth-mentioning is also the well-supplied, outstanding wine list. 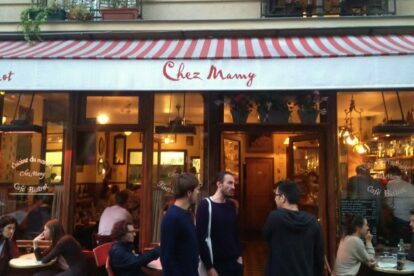 A few steps away from there, enjoy the jovial buzz of Chez Mamy, where the chefs make use of seasonal ingredients, preparing both French and more exotic dishes. After dinner, the 11th arrondissement is among the cool nightlife areas in Paris. La Fine Mousse is a beer bar specialised in craft beers. Their list changes regularly, but there are always around 20 different beers on top to chose from. Otherwise La Caravane, a Franco-Asian restaurant well-known for being a popular aperitif spot, makes for a funky hangout for a few rounds of cocktails. 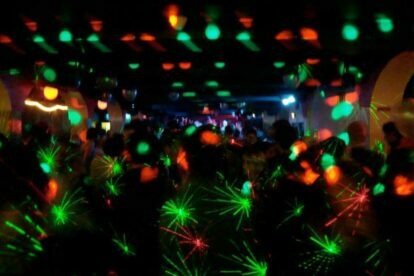 Additionally, its colourful interior often hosts DJ sets that keep the energy flowing until 02:00. No need to switch from the 11th to another area: L’International is just around the corner. This basement hosts concerts and is sticky and sweaty, the music is really loud and the place often too crowded – but then… concerts are always free, the beer is cheap and cold and the vibe exciting. Unless you’re after chichi-ness, L’International will do for you – and will do well! A few streets to the north, in an Art Deco shopping arcade, find the oldest club in Paris: La Java. While in its golden ages it hosted the performances of stars of the likes of Edith Piaf, now La Java is a hot spot for some serious minimal, techno, electro-rock club nights, catering to a mixed crowd. More? 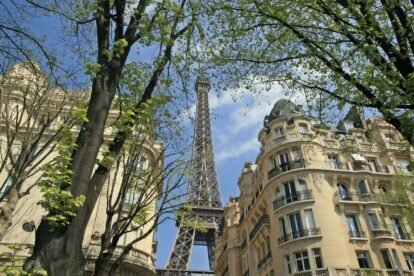 Check our Paris blog or app!